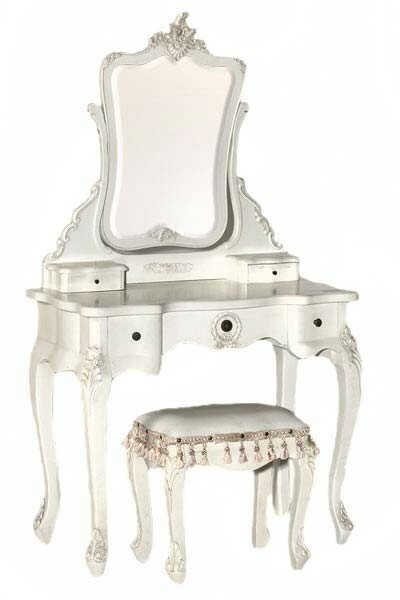 Antique white dressing table, in a stylish shabby chic French style, this dressing table set includes the dressing table, mirror and stool. 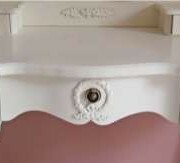 There are two trinket drawers either side of the mirror base and drawer space within the table too. Ornately detailed, handmade with beautiful mouldings. 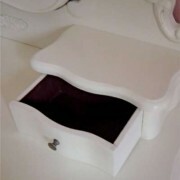 Professional antiqued white finish to create a much desired character and effect. Delivered flat packed. 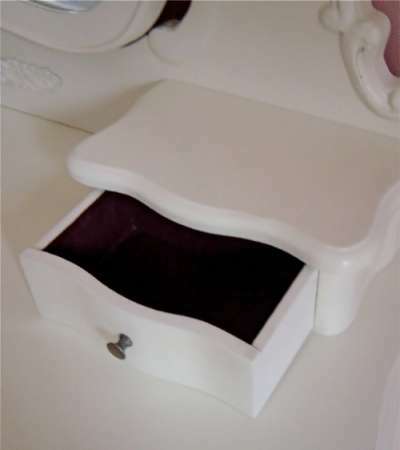 Easy to assemble, legs to be attached to table and also to the stool, the trinket drawers to be fitted to the mirror with allen key and bolts provided. 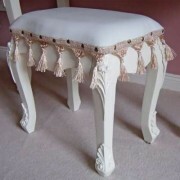 Please note, occasionally the stool covering may vary very slightly from the image displayed. Matching beds, bedsides, armoires, tallboys, chest of drawers and other bedroom furniture in the Provence Antique White Boudoir Range available to complete a full bedroom set.